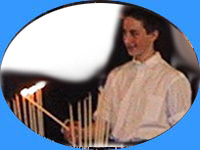 jason lighting the candles while posing for a photo at the same time. wow, now that's some skills! pictures nana frances and all her little evil Librot creations! muhahaha!!! nah... its just two Librot families together at michael's house in new city. 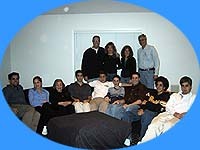 jason's bar mitzvah in march, 2001... you are now a man !